Lot 8: Celtic World. 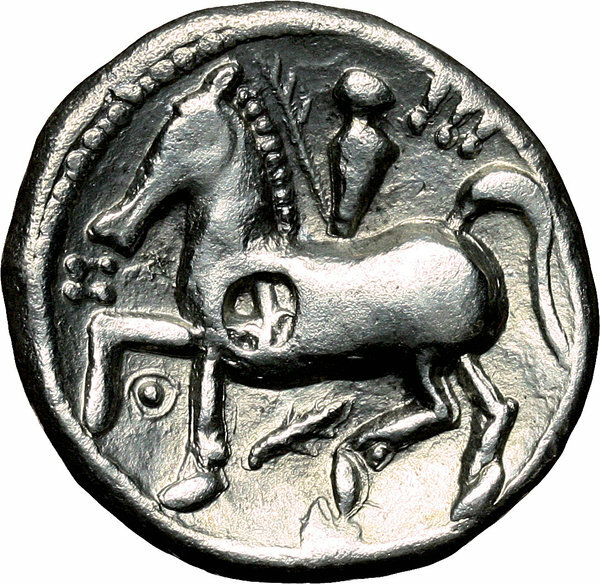 Celtic, Danubian Region. 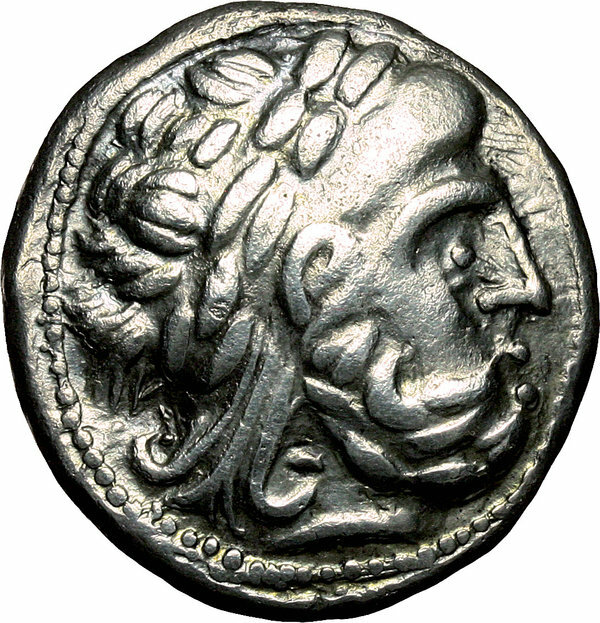 AR Tetradrachm, imitating Philip II of Macedon, 3rd cent. BC. D/ Laureate head of Zeus with crude features right. R/ Youth on horseback left, holding palm; spoked wheel countermark on horse; below, palm branch. Lanz 394-5. AR. g. 12.94 mm. 25.00 Good VF.